One of my all-time favourite things to do on a city break is to hunt for souvenirs in boutique shops. I love bringing things home with me that remind me of the city I have been to. Whether it’s a unique piece of clothing, a special gift or something for my house, I love taking a little part of the city home with me. 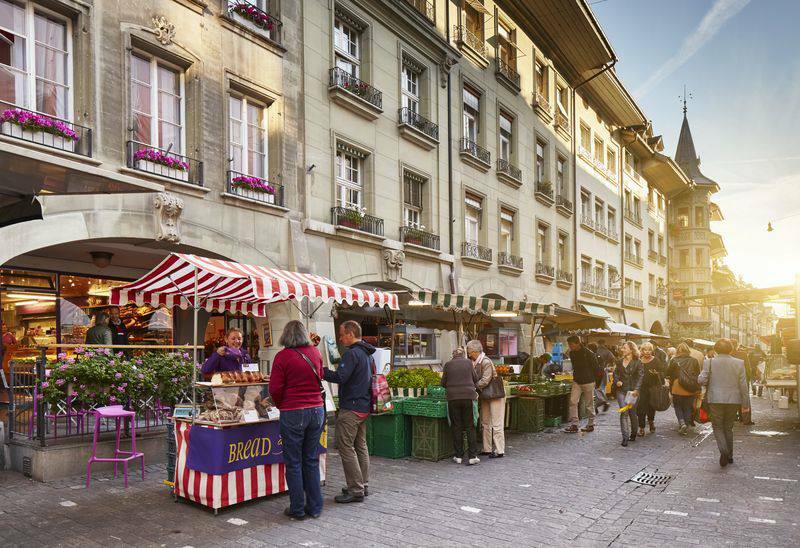 I suppose that’s more of a poetic way to confess that I love to shop, and that’s exactly what I did on my recent city break to Bern in Switzerland. 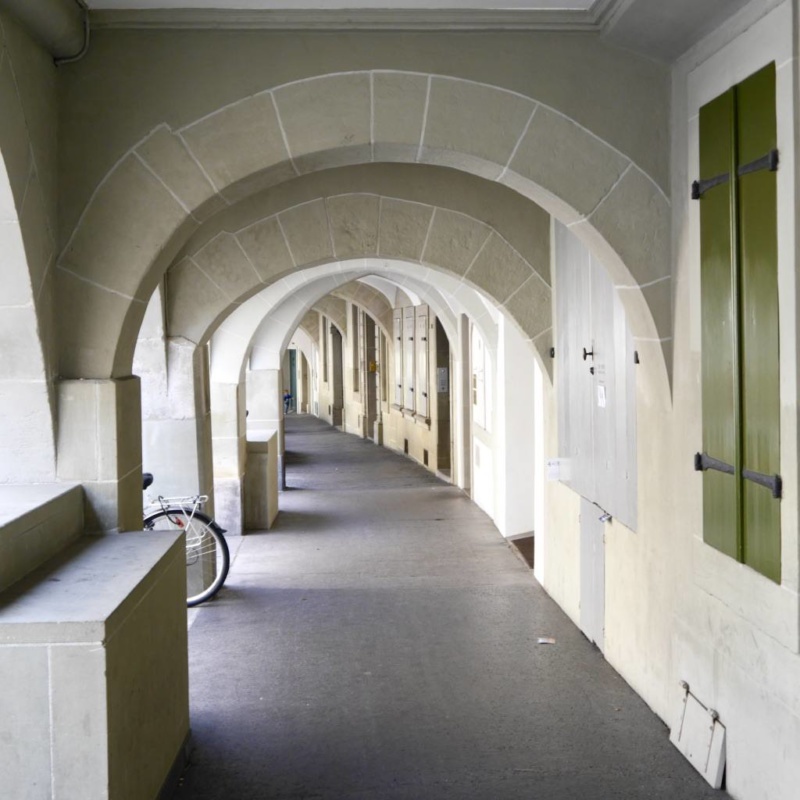 Before I list my boutique discoveries, it’s worth mentioning the layout of Bern’s shopping streets. The famous Zytglogge clock tower sits between the Kramgasse and the Marktgasse. The Kramgasse area is where you’ll lots of interesting boutique and independent shops and the Marktgasse is home to a higher concentration of high street and international brands. But in general, you’ll find beautiful shops throughout the whole of the Old Town. The Art of Scent is a unique perfume atelier created by passionate Perfumer Brigitte Witschi. 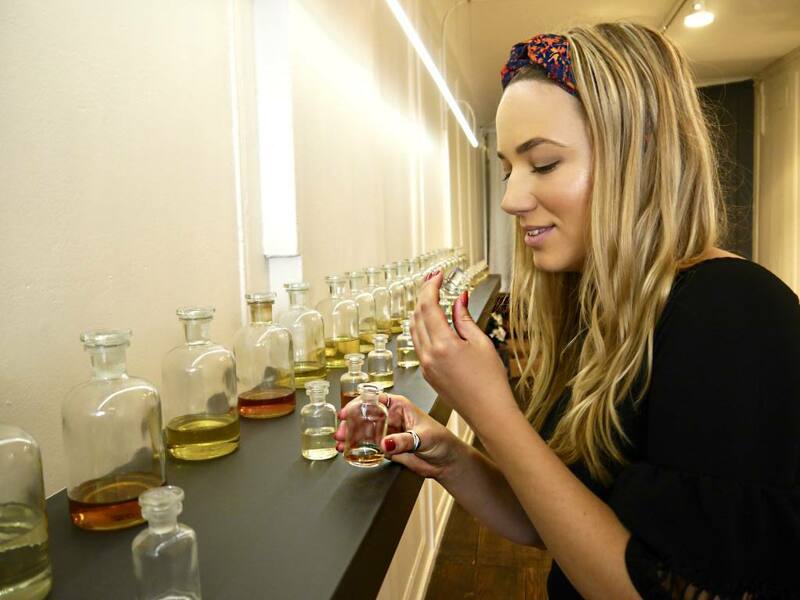 With the expert help of Brigitte, guests can create their own unique scent through a bespoke consultation. 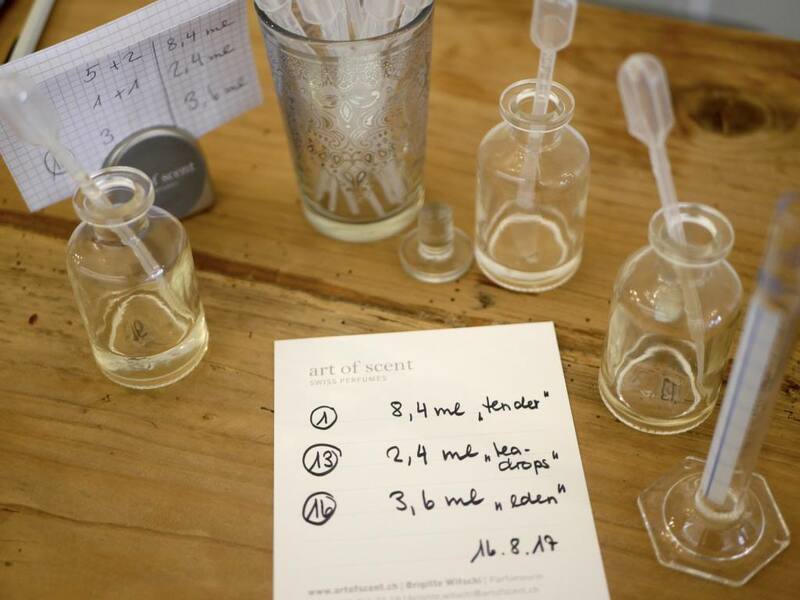 I went to The Art of Scent to make my own perfume during my time in Bern and it was such a unique and personal experience. First Brigitte asked me to smell every scent in a long shelf of apothecary jars. I had to write down the numbers of the scents that I immediately liked. After looking at my selection, Brigitte then shortlisted a combination of my favourite scents and we mixed them in different ratios to create different blends. It was incredible to see how 1 extra drop of perfume could change an entire scent. After playing around with different combinations, I picked my favourite and Brigitte created the formula for me to blend my own bespoke perfume. Also on the Kramgasse is this charming boutique homewares shop called Iljos Cucina. From colourful espresso cups to soft furnishings, this is where to come if you want to add a pop of colour to your home. They also have a gorgeous range of children’s tableware, which is plastic and hand painted. I bought a selection of the children’s tableware for a gift for my goddaughter and the free gift wrapping was equally as beautiful as the gift itself. 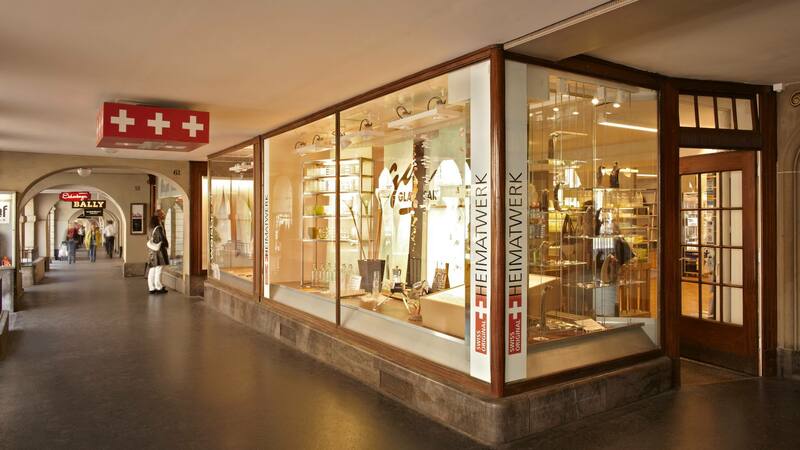 The Heimatwerk is one of the most famous boutique shops in Berm. 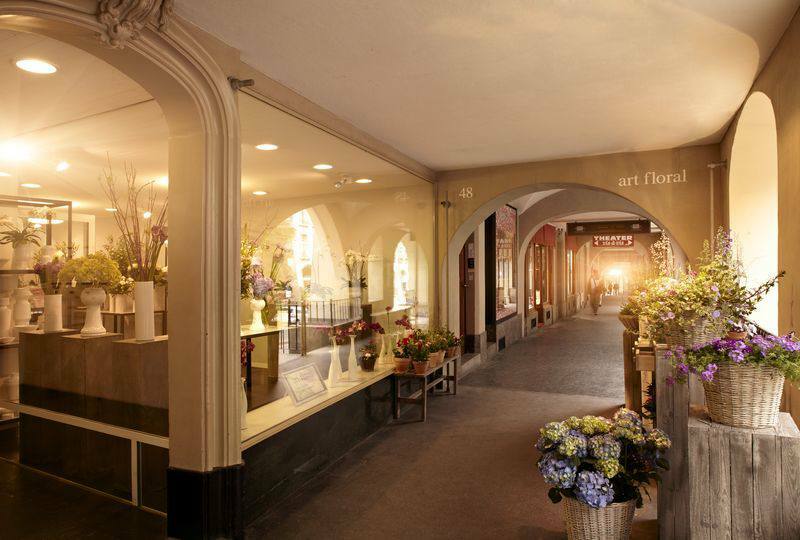 Located in the Kramgasse arcade, it has a central location, very close to the clock tower. 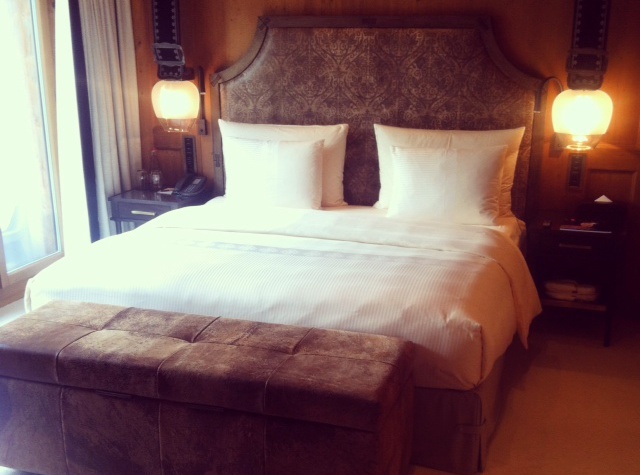 Here you’ll find a curated selection of hand-made items from Switzerland. The items on sale have all been designed by Swiss artisans and created in ateliers, so you can expect to find one-of-a-kind pieces that make for perfect gifts and souvenirs. No trip to Bern (or Switzerland) is complete without picking up some Swiss chocolate, and this legendary chocolate shop has it all. Läderach’s iconic chocolate slabs come in a mind-bending array of flavours such as white chocolate and passionfruit. Pick up a pre-packed bag or create your own combination. There is a chocolate here to suit every taste and you can even take part in the on-site chocolate making classes. Be sure to keep an eye out for the free samples too. 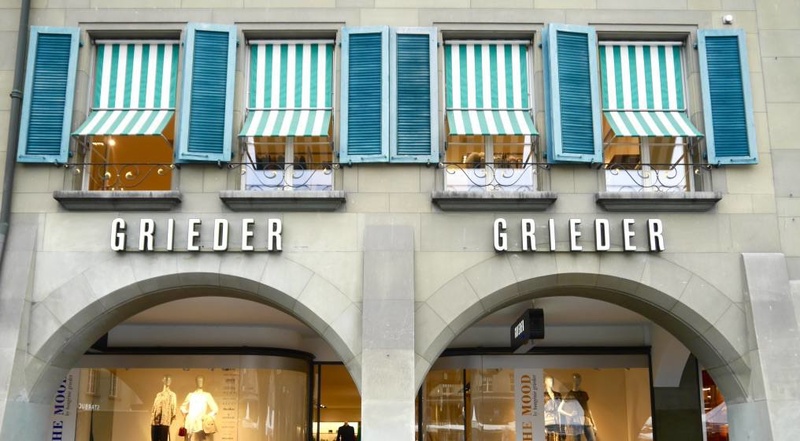 For designer brands in a boutique setting, head to the Grieder. 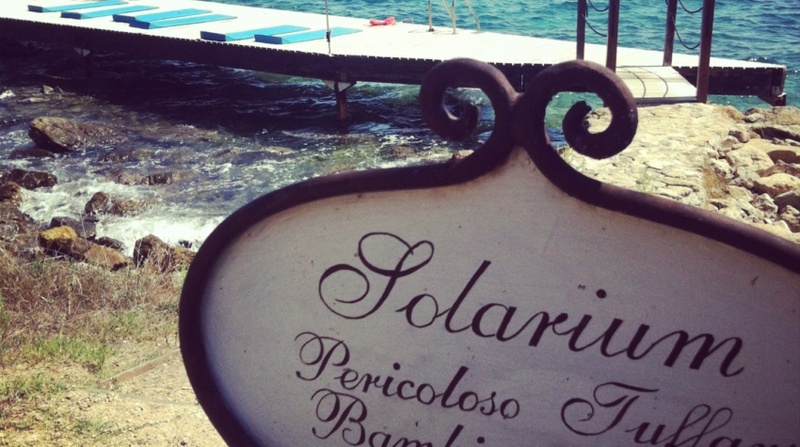 Spread over 1,000 sqm, you’ll find luxurious accessories and women’s fashion brands. Big names include Givenchy, Armani, Balenciaga, Missoni and Diane Von Furstenburg, but you’ll also find pieces from local Swiss designers. Head to Fizzen for all things quirky and hipster. You’ll find fashion, brands and stylish accessories as well as lifestyle products for those young at heart. Imagine a place where you can shop, drink and pamper all under one stylish roof? 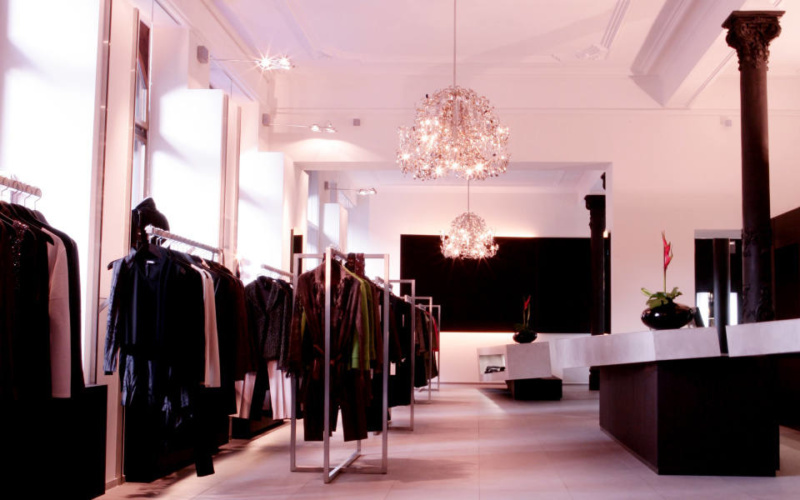 That place in Bern is Aerni which combines a clothing shop, spa, bar and hairdressers in the same establishment. This cool concept store is the ultimate destination in Bern for a girly shopping trip or pamper day and has to be one of the most unique boutique shops in Bern.